245 - Tire width in millimeters. 70 - Aspect ratio. The tire’s section height as a percentage of its width. Replace tires within the recommended time frame. Failure to replace tires as recommended can result in sudden tire failure, which could lead to a loss of control and an accident. Tires degrade over time, even when they are not being used. Regardless of the remaining tread, we recommend that tires be replaced after approximately six(6) years of normal service. Heat caused by hot climates or frequent high loading conditions can accelerate the aging process. 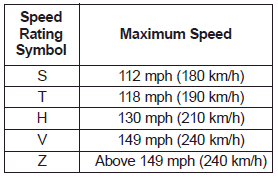 The traction grades, from highest to lowest, are AA, A, B and C. Those grades represent the tire’s ability to stop on wet pavement as measured under controlled conditions on specified government test surfaces of asphalt and concrete. 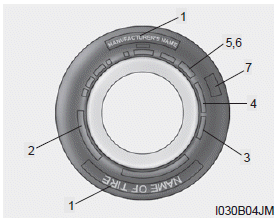 A tire marked C may have poor traction performance.